Hire our fantastic fountains and enjoy a truly indulgent treat on your special day. Caters for up to 100 people. Choice of dark, milk and white chocolate. LED lighting to suit your colour scheme. 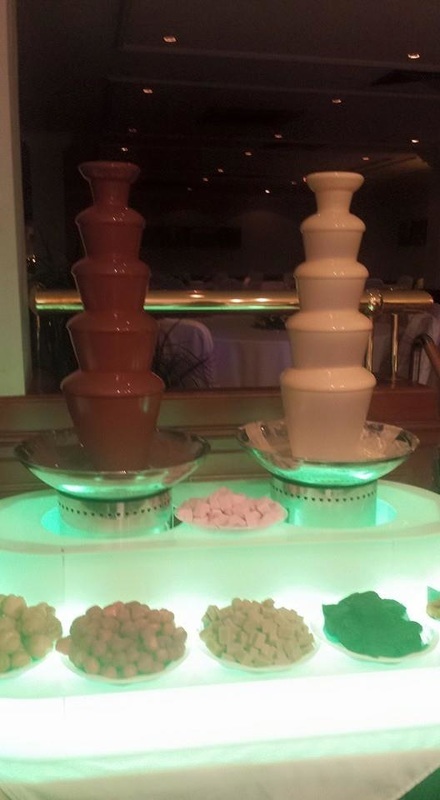 Upgrade to a double fountain and enjoy two flavours of chocolate for just £50. *Price available for all 2015 events.